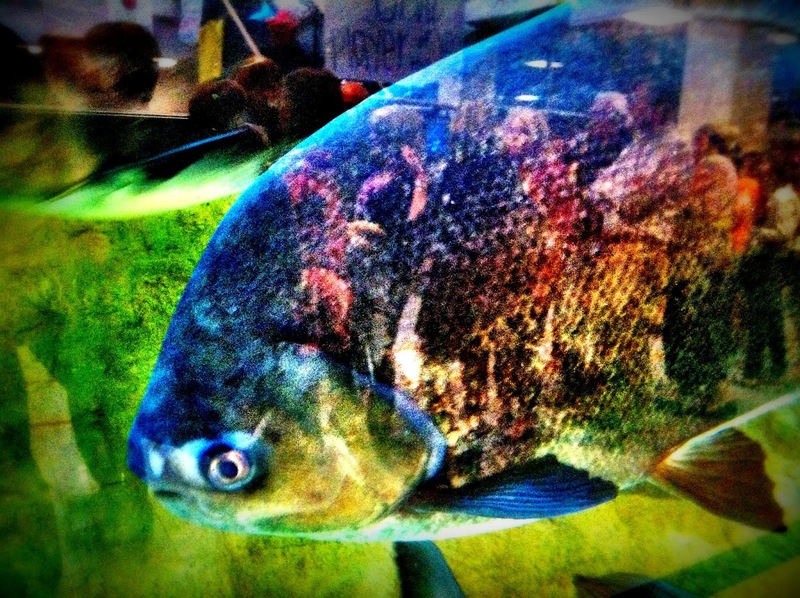 - This fish was in a large aquarium at the Virginia Wesleyan student center and the front glass reflection makes it look like the fish swallowed a whole line of people. The people were lined up at the 14th Annual Empty Bowls Charity Dinner. iPhone 4, 1/15 sec @ f/2.8, ISO 1000. I love this! The brilliant colors catch your eye first and then you see the humans IN the fish - WOW- So Good!! This is definately one of my very favorite of your photos!